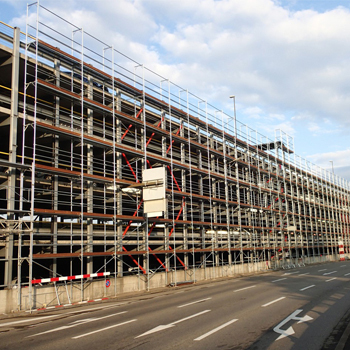 The European Frame Scaffolding DINO 48 is ideal for regular façades, as its simple, easy-to-use design allows for quick assembly. 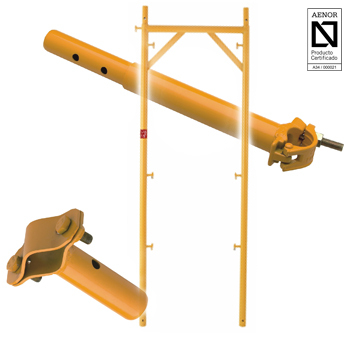 It is compatible with the Modular Scaffolding MEKA 48. 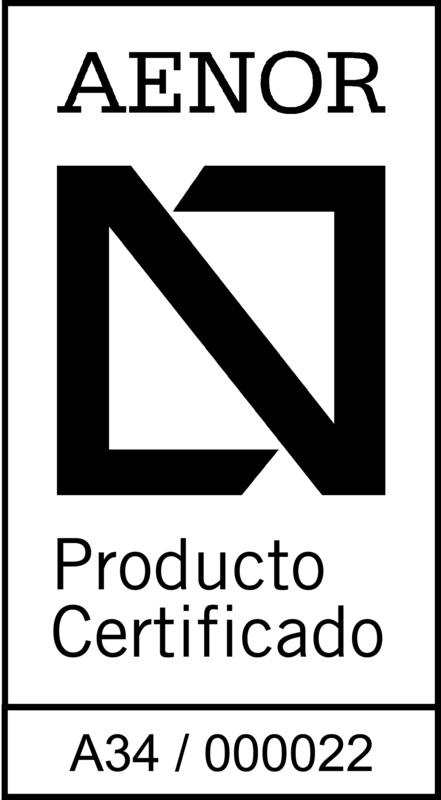 Technical specifications: Steel tube ø 48.3 mm. Grade St-44. 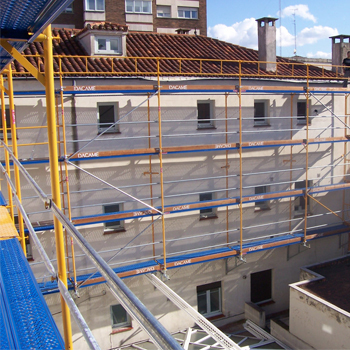 All components are hot dip galvanized with a minimum thickness of 75 microns according to the European Standard EN 1461 or epoxy-coated.